Happy New Year from Boise State! I hope that 2017 has greeted you fondly, and that the Lord is already showing you great and new things in this new year. I pray that everyone is safe in the winter storms across the country and that the few extra days of Breaks/vacations that the snow has brought were relaxing and refreshing. Here in Boise we had a record snowfall of 13 inches (the most single snowfall in over a decade) and I was snowed in for two days. (Shovels were all sold out) We have also been experiencing some of the coldest weather I have ever seen. (-20 F with windchill). With this New Year comes a New semester for me on campus and in ministry. With that I hope to reach more students and continue to build stronger relationships with the students I already know. Pray with me that the Gospel will reach college campuses across the country, particularly through RUF. I have a few students that I plan on reaching this semester that I had not last semester. Pray for doors to be opened for me and for RUF at BSU as a whole. 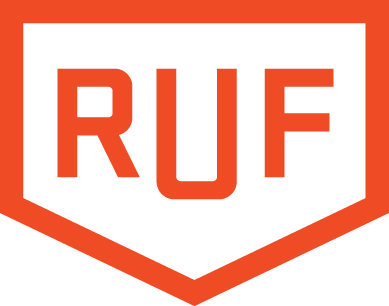 In February we have a leadership retreat where any and all RUF students interested in learning more about how they can get involved in Leadership or just learning what RUF stands for can come to a Mountain house with us and spend the weekend in fellowship and talking about the Grace of God. We are looking forward to this opportunity to connect students with each other and historically this is a time where students first start to get truly involved in the ministry of RUF. Join us in pray for all the students who come, that the Lord will open their hearts and minds to His gospel and that they will find themselves in His grace. Also, be praying for the future and current leaders within our RUF group as they strive to reach the campus for Christ. Here in Boise I am a member of the Church All Saints Presbyterian. The church needs a bigger space that is more accessible. Be praying for them as we as a congregation navigate the unsteady waters of transition and as we try to make the best decision for the church and the community. Lastly, Thanks to all of your prayer and support, my ministry is nearly funded for the rest of this year and if promised gifts continue through the next year I am over 60% funded for the 2nd year as well! Thank you so much for all the prayers and support, if you are not currently giving financial, we only need ~$300 a month to be fully funded this year and to start working towards the next! Thank you for all your prayer and support. Feel free to call me or email me with any questions or comments.